This week, Call of Duty: Black Ops 4 sees its first multiplayer beta. Dubbed the Call of Duty: Black Ops 4 private beta, it’ll run from August 3 to August 6 on PS4 with Xbox One and Windows PC to follow. On the surface it might seem like any usual pre-release trial for the yearly franchise, which has seen multiplayer betas for Call of Duty: Black Ops 3, Call of Duty: Infinite Warfare, and Call of Duty: World War 2 in recent memory. However, look a little deeper and you’ll realise that it’s much more. 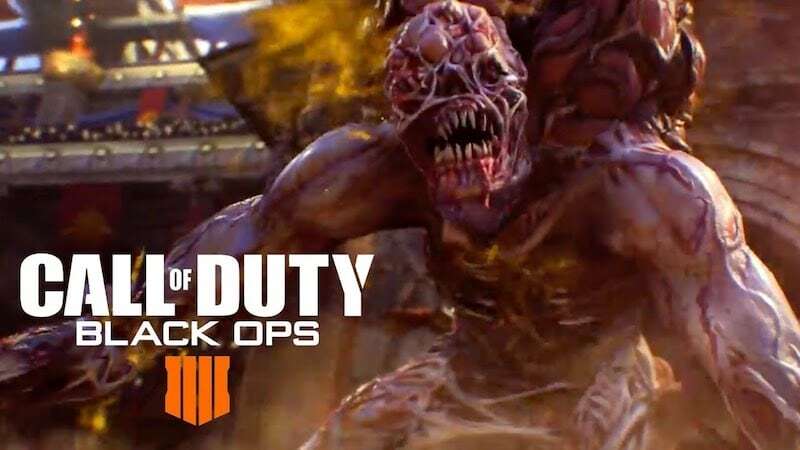 With Call of Duty: Black Ops 4, developer Treyarch is forsaking the usual single-player campaign in favour of traditional multiplayer modes, an expanded Call of Duty Zombies co-operative experience complete with multiple factions, and of course battle royale that’s known as Blackout. So, if you’re on the fence about buying Call of Duty: Black Ops 4, the beta and its subsequent impressions are your only way of knowing if its any good. But just ‘good’ isn’t the benchmark anymore. We’re in a world where every big budget game aims to be a service, with post-game patches and updates adding content and in some cases changing the game completely. We’ve seen this with Fortnite, PUBG, Assassin’s Creed Origins, Final Fantasy XV, and even Activision’s own Overwatch. This culture of game developers altering content way past the original release date isn’t restricted to giants like Epic Games, Bluehole, Ubisoft, Square Enix, and Activision either. Independent studios like Hello Games have updated No Man’s Sky with a massive patch resulting in a game that’s drastically different from what we saw during its 2016 debut. What this means is that games are now being designed not just to keep your attention for a dozen hours or so, but that they’re being designed to be limitless. Therefore, the Call of Duty: Black Ops 4 doesn’t just have to be good, it has to be good enough to warrant you stopping whatever you’re playing to give it a go. Coupled with a high price of entry of Rs. 3,999 ($60 in the US) versus more affordable experiences like PUBG and Fortnite ensure the shooter genre is more crowded than its ever been. And that’s not even counting Battlefield V from Activision competitor EA, which has a campaign and a battle royale mode too. In fact the success of Call of Duty: Black Ops 4 could very well shape future experiences. Previously, EA was on the receiving end of consumer backlash for the lack of single-player campaigns in Star Wars Battlefront and Titanfall. This was rectified with Star Wars Battlefront 2 and Titanfall 2 respectively. And while Battlefront 2 was forgettable at best, Titanfall 2 is one of the better single-player campaigns this generation. How Call of Duty: Black Ops 4 fares may decide if future games even include a campaign. Perhaps it could influence the direction taken by 2019’s Call of Duty, rumoured to be titled as Call of Duty: Modern Warfare 4. All of this results in a situation where Call of Duty: Black Ops 4 matters more than you think. It’s not just a game that Activision and Treyarch are invested in seeing its success, but one that could plot the course for the games as a whole and the beta may very well be a slice of how we consume them in the future.